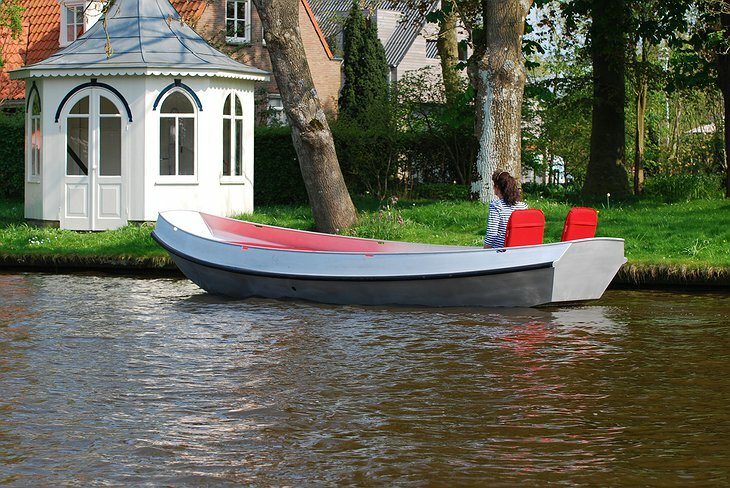 In Northern Netherlands people don’t drive so much. 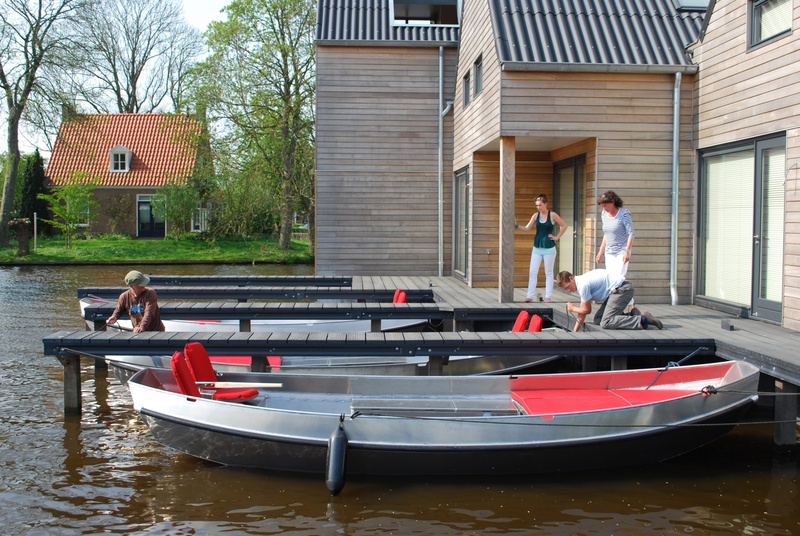 They cycle the flatlands breathing fresh air or they take a boat along a network of clean waterways. 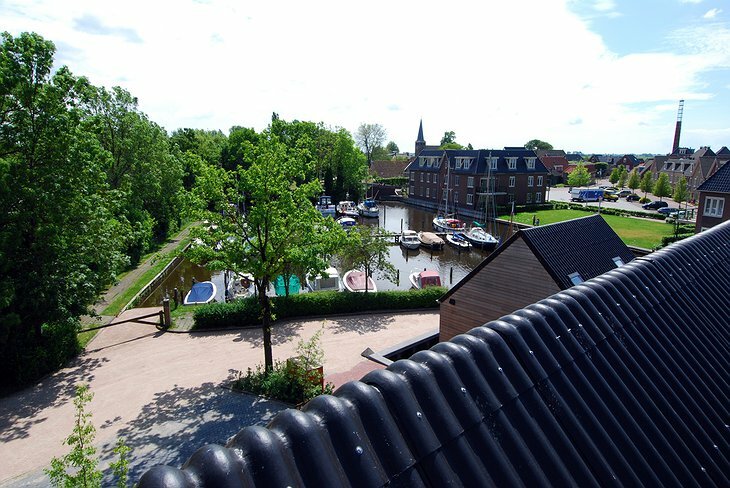 The area is full of historic attractions and European charm. To make the most of your stay, the Werf Ijlst hotel offers its guests a choice of four waterside lodges of varying size, each with a sleek Sinneskou boat moored outside the front door. The boats are aluminum replicas of the traditional boats of the region and are the perfect way to leisurely explore this fine area of the world. 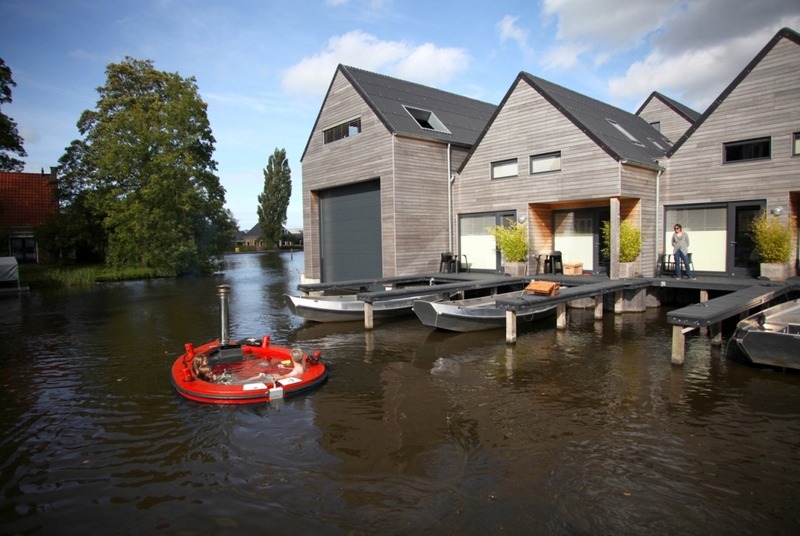 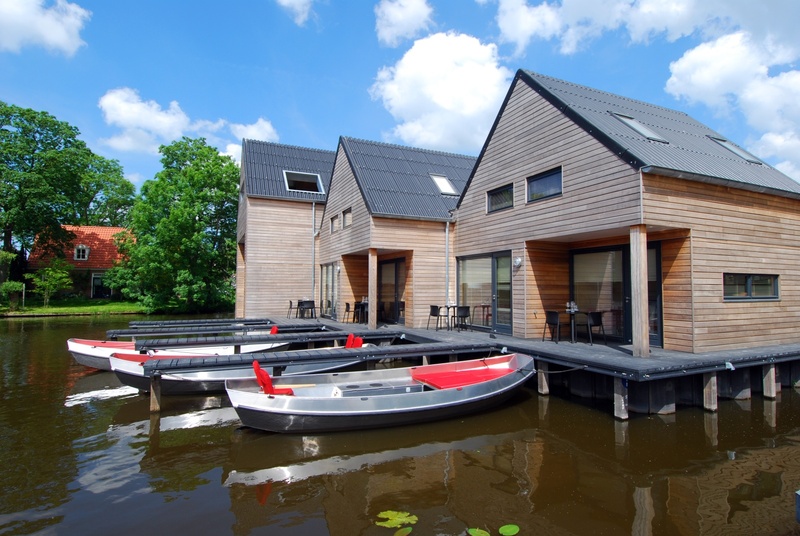 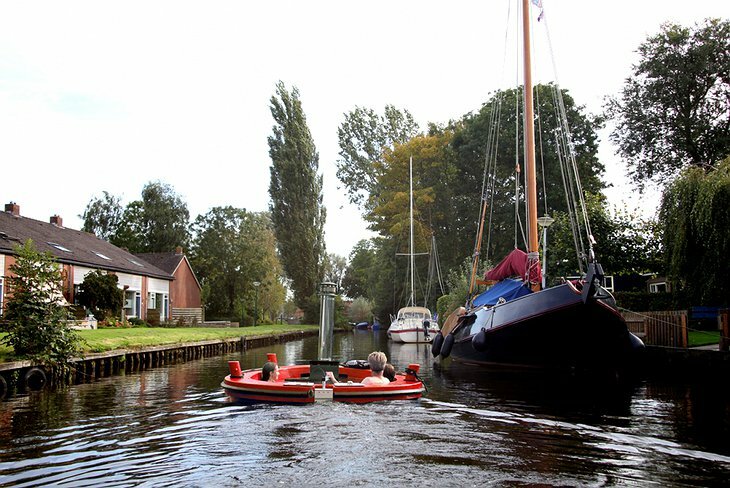 The lodges are perfectly placed at an intersection of many of the local waterways leaving the whole of the historic Friesland area open for you to explore. 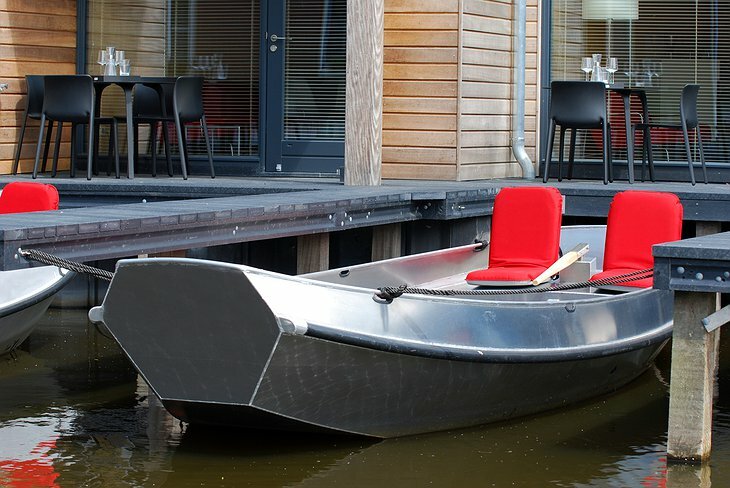 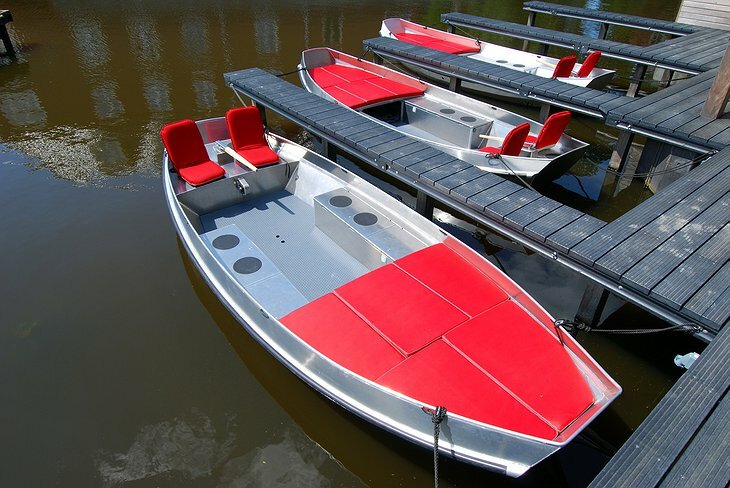 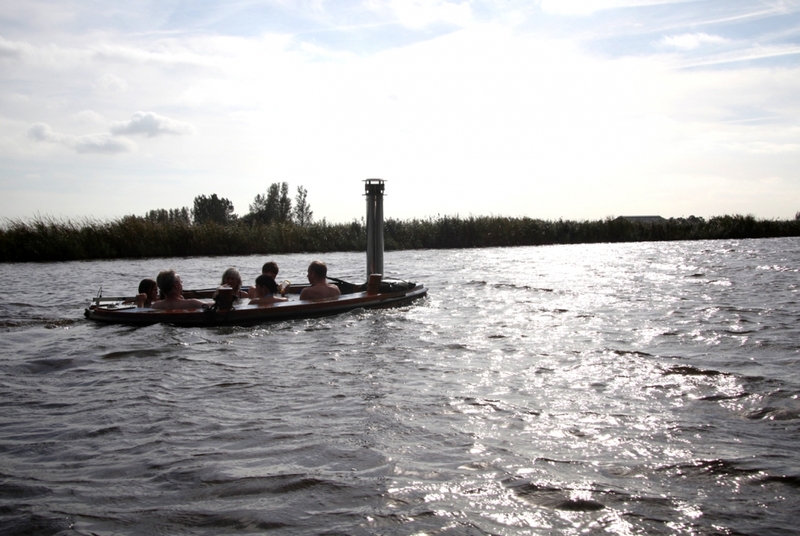 The boats are easy to handle and are powered by a quiet electric motor. 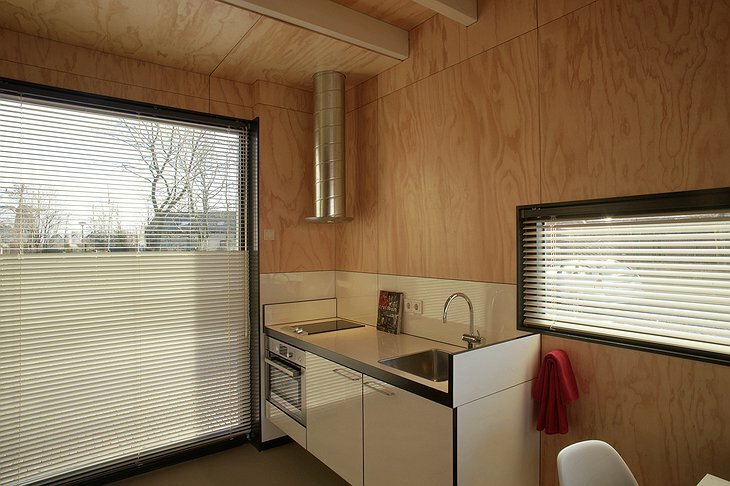 The lodges are simple and comfortable. 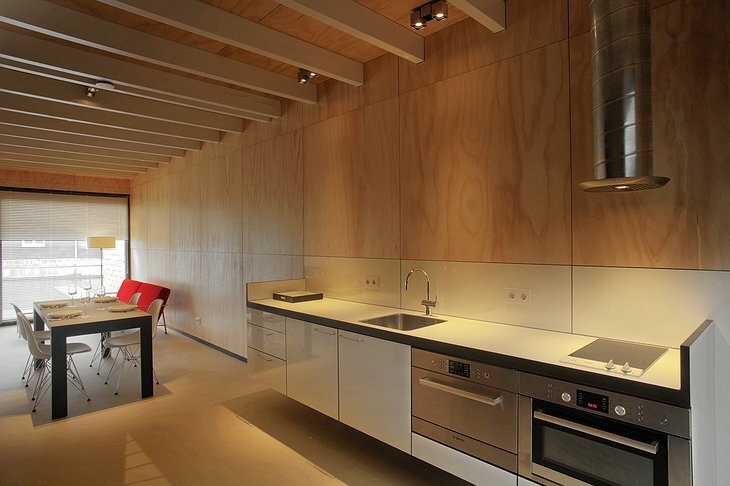 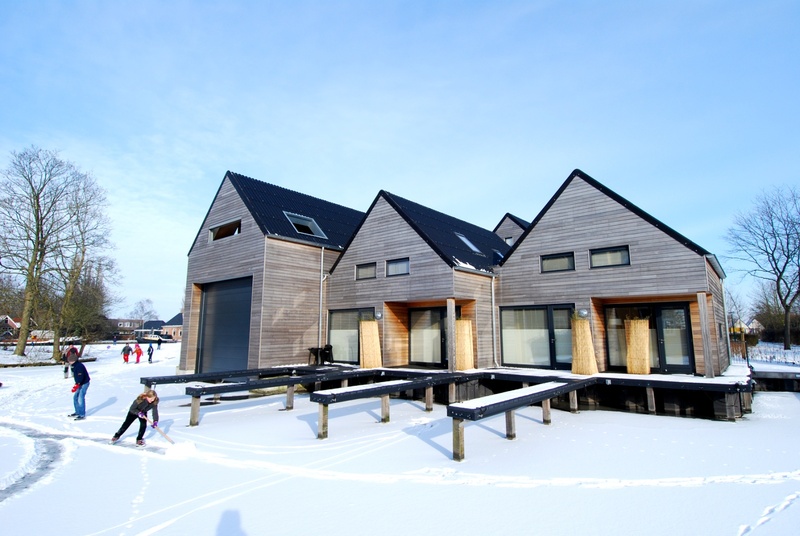 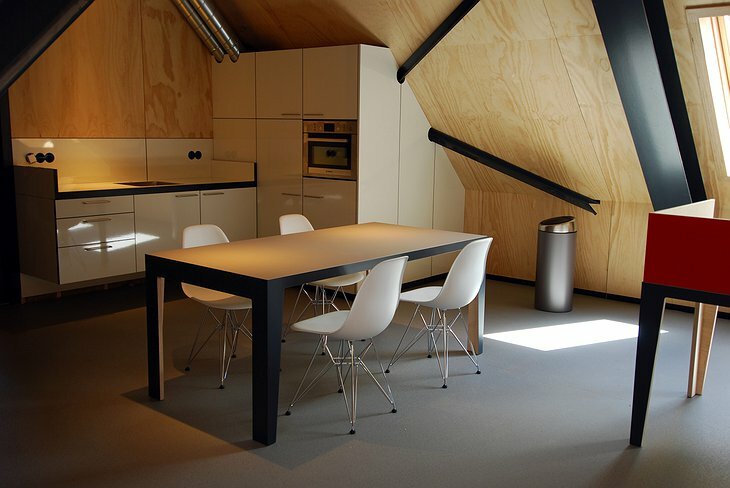 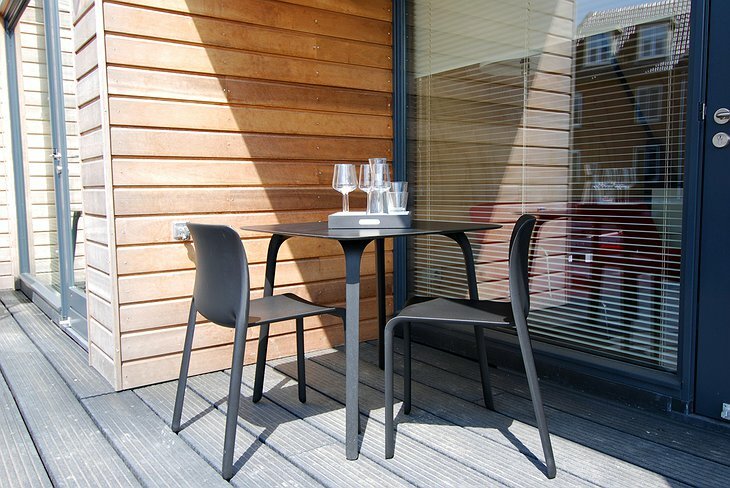 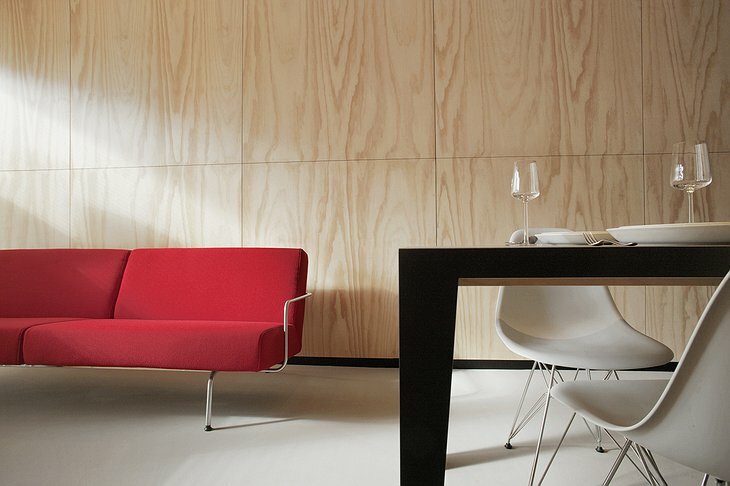 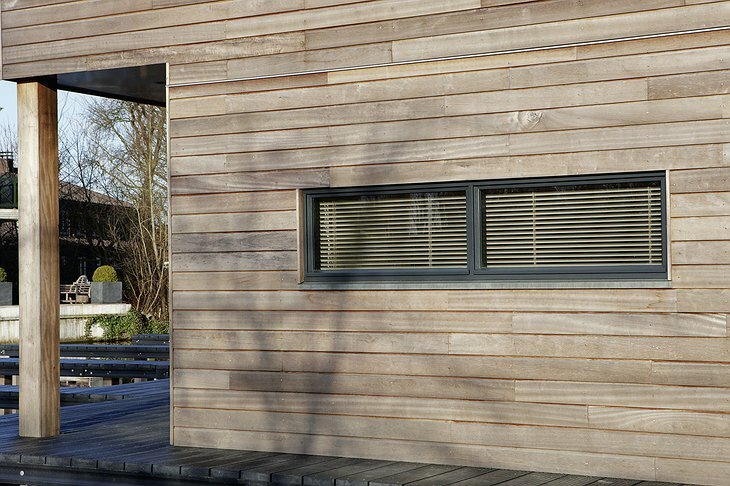 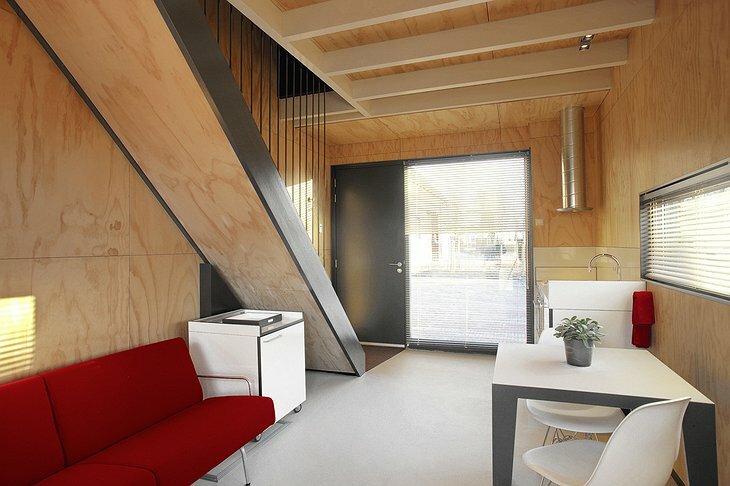 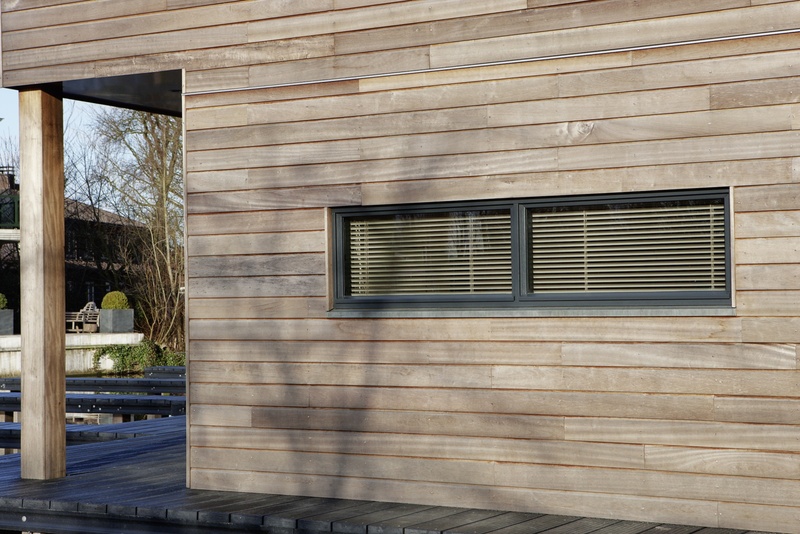 They are built from warm wood and contain kitchen, bathroom, terrace and bedrooms.